Talk about a crazy busy Summer! Anyhow, I’m thrilled to finally share this beautiful Cliff at Lyons wedding video with you because it has so much raw emotion. 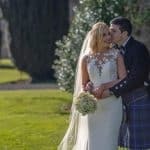 Sophie, Gary and their friends shared an intimate celebration together at Cliff At Lyons in Co. Kildare on one of the hottest days this year. What a couple, what a venue! It really is a gem of a location for so many reasons. Everywhere you turn, there are some amazing photo and video opportunities. We were lucky because we managed to catch some beautiful light at the end of the evening sun set. This was a perfect end to a lovely day and perfectly encapsulates what a privilege it was to have been a wedding videographer in Kildare that day to capture this epic Cliff at Lyons wedding. Photography: Kathy Silke is a pleasure to work with. Good fun and a talented photographer to boot! Go check out her amazing shots from Sophie and Garry’s wedding. Enjoy this short Cliff At Lyons Wedding Video! Keith was an absolute dream! I nearly knew he was there on our big day. But the film he captured was so beautiful. Both the highlights and full length film are created with such attention to detail. We cannot thank Keith enough.